I'm a theoretical physicist as well as a SF writer. I recently submitted a theoretical physics paper to a prestigious journal. While considering what steps to take to establish my priority for the ideas in the paper, I got the admittedly screwball idea of putting the paper up for sale on Amazon/Kindle. Not that I'd expect anyone to buy the paper, but 'publishing' it would unambiguously establish a date of submission. 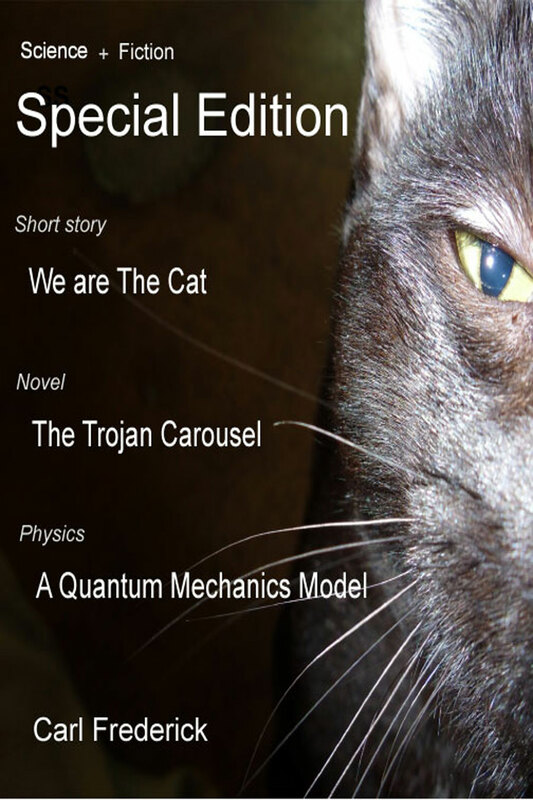 Further, there is a connection between the paper and my fiction: In the paper's citations list, I sneaked in an entry, 'We are the Cat' (re: memory in quantum measurements). I also sneaked in 'The Trojan Carousel', my novel which is something of a cross between a quantum physics textbook and 'Lord of the Flies'. 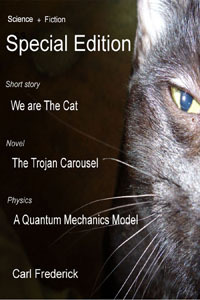 In it, the boy protagonist stumbles upon a new idea about quantum mechanics, said idea being the subject of the paper. In an 'it seemed to be a good idea at the time' moment, I decided to put up the very math-heavy paper along with the novel and short story. If you really want to buy the book, well, you have my thanks. But I hardly expect anyone to. Email for your free copy for Kindle. I'll e-mail the book to you within a few days. In the unlikely event that I'm flooded with requests, it might take a little longer. Or read it HERE on your browser. It actually reads better on the browser (at least with Firefox) than on a Kindle; some of the math symbols don't display properly on a Kindle (but I didn't know that until I tried it).